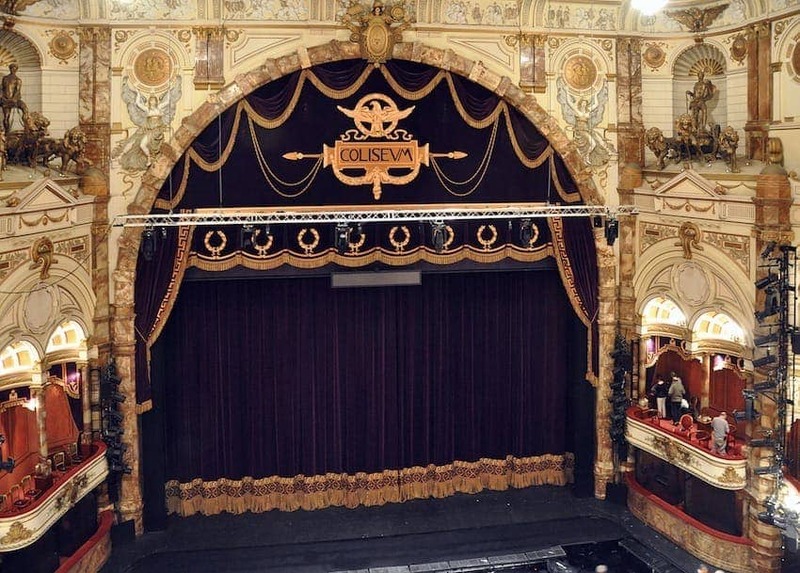 The London Coliseum is a theatre in St. Martin's Lane, built in 1904 to be one of London's largest and most luxurious family variety theatres. Described as the 'people's palace of entertainment' of its age, the theatre retains many of its original features and boasts richly decorated interiors and a vast and grandiose auditorium, lavish foyer and circulation areas and an opulent 3-tier auditorium. With 2,359 seats it is the largest theatre in London. Today it is used primarily by the English National Opera and the English National Ballet. Operas are sung in English to be accessible to all.